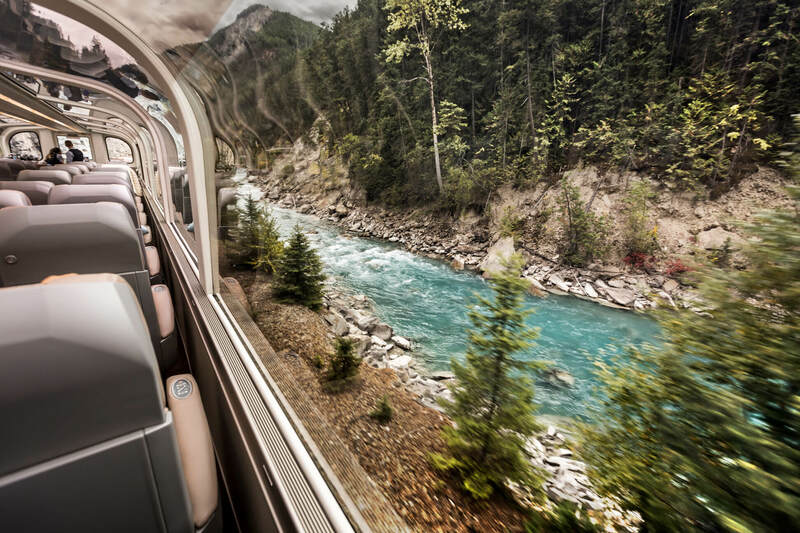 Marcus Macdougall has been lucky enough to experience the Rocky Mountaineer twice! 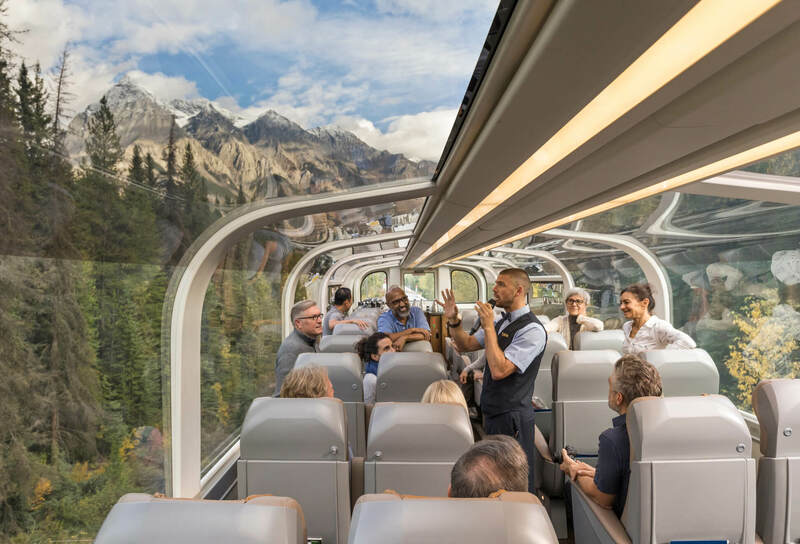 With Canada & Alaska looking to be popular for the 2019 season, we wanted to know more about the benefits of adding the Rocky Mountaineer to your Canada & Alaska itinerary. The first time I went it was in spring, which is a beautiful time of year with the snow melting and the first signs of greenery coming back to the mountains. 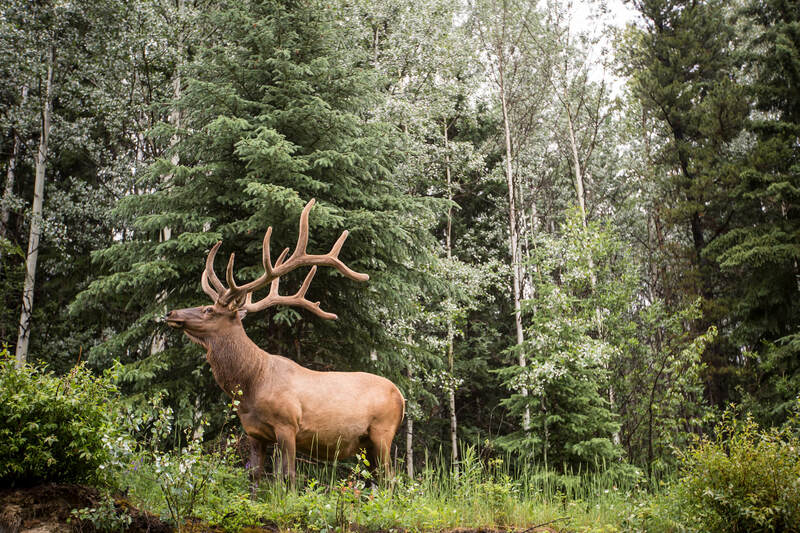 The second time was in September, which was spectacular with all the autumn colours and more chance of seeing the incredible wildlife such as bears, birds, elks, and buffalo. SPECTACULAR – I didn’t realise until we got there just how beautiful the train and hotels were. The photos do not do it any justice. What class did you travel on? GoldLeaf, which is a truly amazing experience. 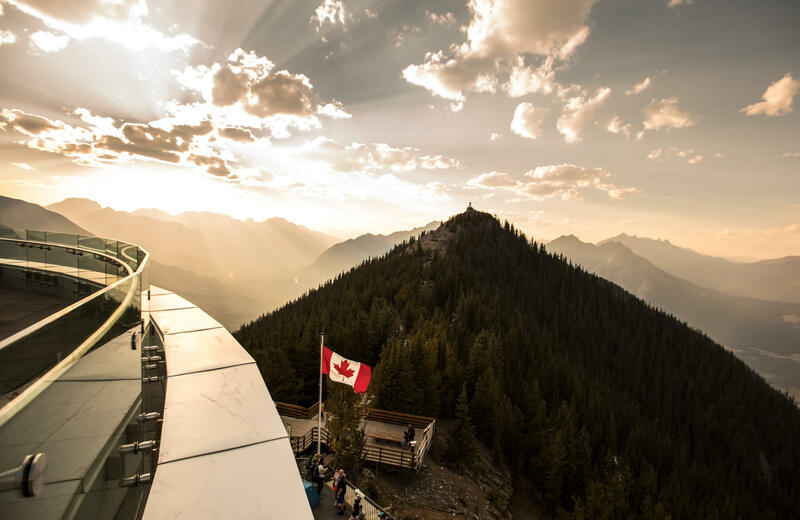 You sit under a glass roof and so enjoy panoramic views above the tree line which means you can enjoy so much more of the view, especially the mountain tops, and have a better chance of seeing some grizzlies! There is a separate dining cart downstairs to enjoy brunch and lunch, there is also an outdoor area you can stand on in GoldLeaf to watch the world go by. The food was amazing, and we enjoyed the all-day commentary, with a huge amount of leg room! An early morning rise from the hotel for check in on the train, as the train takes off, you will be welcomed on board, and the day ahead is explained. Half the group is taken down stairs to enjoy a spectacular breakfast, while the other half enjoy champagne and strawberries. The groups then swap and enjoy their time. 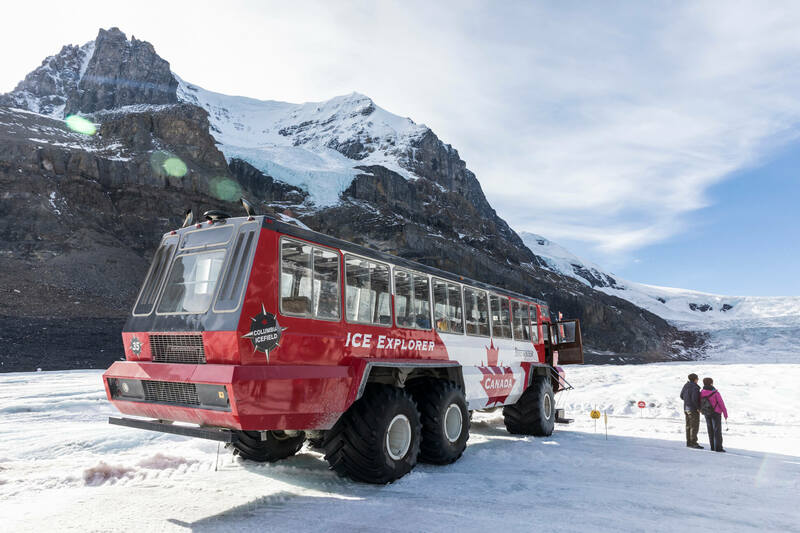 The tour director will present commentary throughout the day, and the train will slow down when they see animals to view on the sides of the mountains. Late lunch is served, with half down stairs again, it’s all silver service and spectacular. A relaxing afternoon watching the world go by, enjoying the scenery and stories of the area. How many itineraries are there? LOTS. We have gone from Vancouver to Kamloops and Vancouver to Banff. There are alternate routes you can do also. One thing to be aware of is that in some of the more remote areas you can go to, the accommodation and entertainment options are fairly basic. It is still very comfortable, but take this as a time to relax and go for a walk, or enjoy the ambience at the local pub – there aren’t many Michelin Star restaurants in these areas! 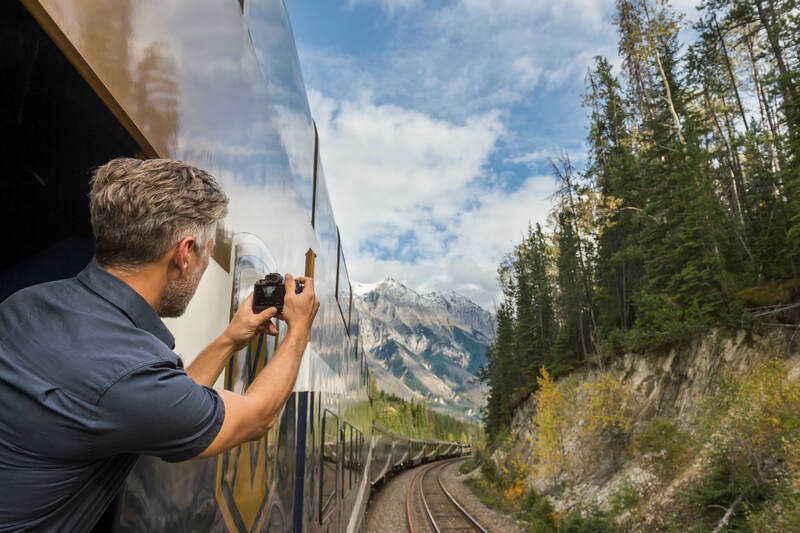 So would you recommend adding the Rocky Mountaineer to a Canada & Alaska itinerary? Absolutely! Even in those more remote areas, it is great to walk around and get a feel for how life is outside the big cities. 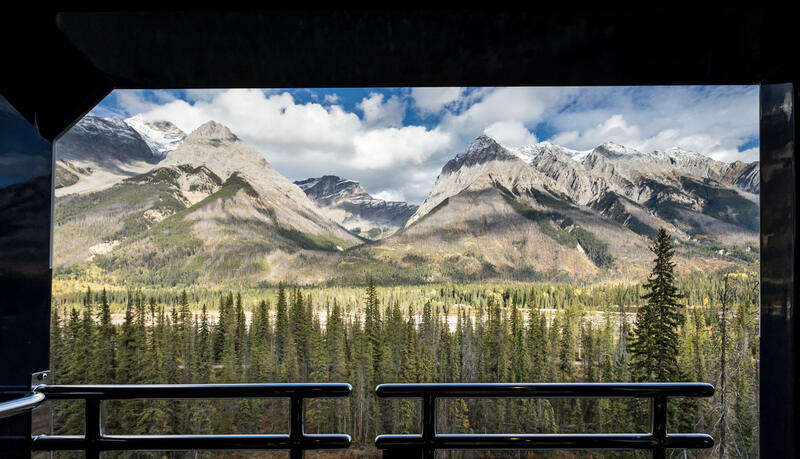 The Rocky Mountaineer weaves through the Rockies where cars can’t go, so you see so much more than you would on a self-drive or a coach tour. I think it is a really special experience that fits in perfectly to a mixed itinerary of coach, cruise and rail. Do you have questions of your own? Leave your details below, and one of our Canada & Alaska travel specialists will be happy to give you a call! Fill in your details below to find out more about this incredible offer! Please provide your email in the 'contact' field above. Please let us know if there is anything else we should know about your enquiry.